When it comes to selecting an American beers for my Beers of the World Cup challenge, there's no shortage of contenders. Of course, lots of the 'usual suspects' like Budweiser, Coor's Light and Miller Genuine Draft are now brewed under licence in the UK and have lost their identity and in my honest opinion, all taste very alike. Having said that, there is a huge revival of craft beers coming out of America right now so I knew that I would have no problem in finding something that I hadn't tasted before. My trip to The Cave in Glasgow's Great Western Road last Friday had allowed me to come home with a third of the beers ticked off of my list of thirty-two competing nations at the FIFA World Cup 2014, with one of my buys being a bottle of 312 Urban Wheat Ale from Chicago craft brewery, Goose Island Brewery. 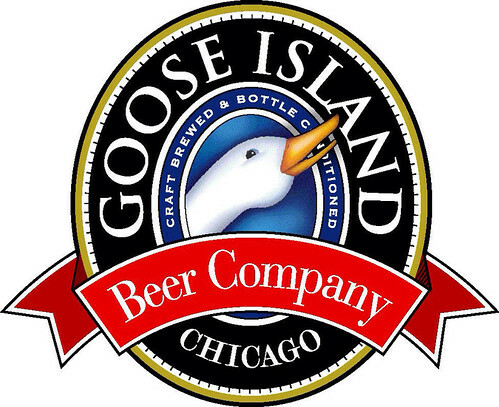 Goose Island Brewery started life in 1988 as a single brewpub, serving food and drinks including some of their home brewed beers, before opening their larger brewery in 1995. Since then, Goose Island Brewery has produced a wide range of ales and lagers that are sold across the USA and the UK. As the popularity of Goose Island Brewery grew, it was only a matter of time before the brewery big boys turned up and in 2011 it was announced that the majority share of the business was to be sold to Anheuser-Busch. Currently, the majority of the beers produced by Goose Island Brewery are still manufactured at the home site in Chigago although some of the beer range is manufactured under licence elsewhere in the USA in order to keep up with demands. 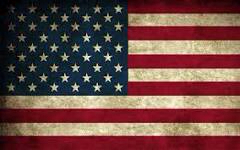 Hopefully Goose Island Brewery doesn't lose it's own identity now that it is part of the Budweiser stable of beers. From the moment that the cap is prized from the top of the bottle, there is a noticeable citrusy aroma although this doesn't last too long. 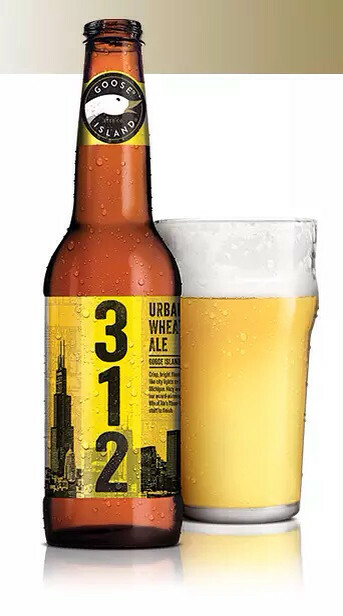 The 312 Urban Wheat Ale pours with a thin head that quickly disappears and is not as cloudy in appearance as some of the big hitting Belgian wheat beers, looking more like a scrumptious cider as it settles in the glass. The citrus scents are also noticeable when tasting with a slight lemony tang making the ale a little acidic to taste. 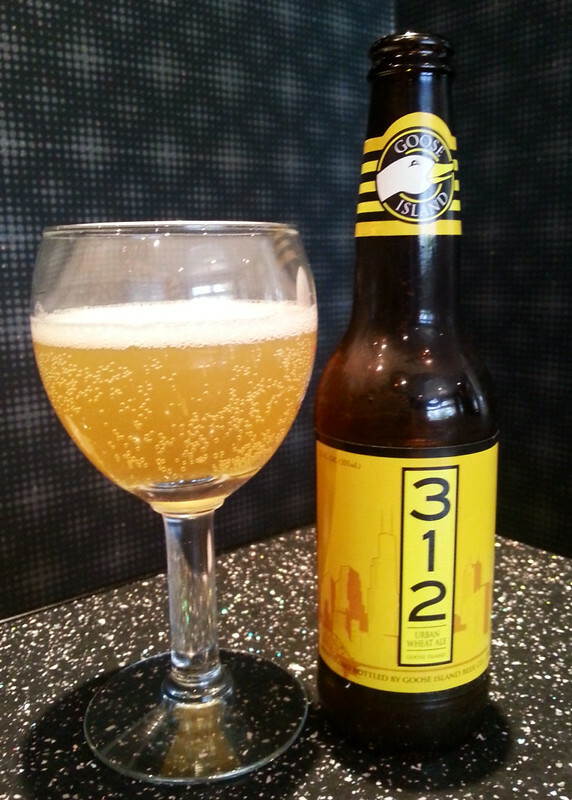 The 312 is an easy enough beer to drink but probably not one that I would go back to in a hurry. With memories of the fantastic Blanche de Namur from Belgium still fresh in my mind, maybe it was a little unfortunate that the next beer to step up to the plate in the #beersoftheworld campaign was another wheat beer, it was always going to be a hard task to beat the Belgians at their own game. That said, don't be fooled into thinking that the 312 Urban Wheat Ale from Goose Island Brewery is one to avoid, 312 Wheat Ale delivers a clean and crisp, easy drinking beer that would be great on a hot Summer day but it's probably not going to be the first American bottle that I'd pull from the shelf.